11% RDA for Riboflavin (Vitamin B2). 2% RDA for Niacin (B3) and Thiamin (B1). 3% RDA for potassium and manganese. 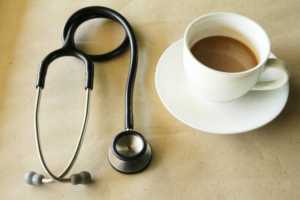 – Caffeine increases blood pressure but does not cause cardiovascular harm. 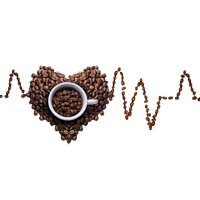 Even some studies have shown that caffeine reduces the risk of stroke. Additionally, if you want to lose weight, you can drink coffee every day because coffee contains caffeine that is capable of supporting fat burning very well..
Every day, if you drink a cup of coffee just one or two cups, it will be good for your health to prevent some liver diseases, cancer, diabetes, gallstones…. Otherwise, if you drink too much, it can cause some unwanted side effects. Specially, women who plan to have children should be cautious because researchers from the University of Nevada point out that regular coffee consumption decreases the chances of women being mothers. Yes, the strange thing is that coffee does increase your blood pressure but it is only one of several causes of high blood pressure. And, as you mention, it has so many benefits. Okay! I agree with you. Thank you.